Two races that can earn series points this weekend! The first is the Gurney Lane 5k on Saturday morning at 10 AM, at the Gurney Lane Recreation area in Queensbury. Day of registration is available for $25. 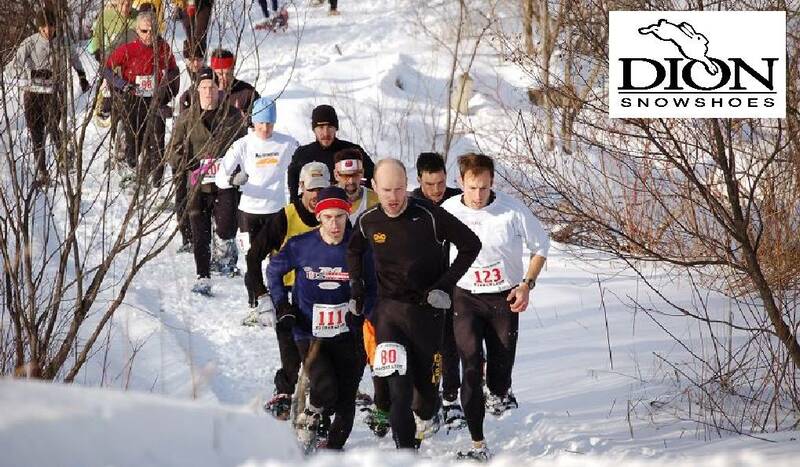 Conditions aren’t great but there will likely be enough snow for this to be run on snowshoes; it still might be a good idea to bring running shoes and traction aids (Yaktrax, screwshoes, microspikes, etc) just in case a last minute decision is made to run it as a trail race. All the relevant info can be found on our race page. Sunday morning at 9 AM is the Winter Magic 5k at Magic Mountain Ski Area in Londonderry, VT. Day of registration is $20. This year the race will be held on the Magic Mountain property, which received sufficient snow over the past few days to actually make the race possible (some portions of the course need snow cover to be usable.) The relevant info can be found at our race page. …in the northeastern US have begun – I’ve got a bunch updated for January and a few for February, with more to come as time allows me to check out what info is available for the 2018-19 season. RDs – if you have a snowshoe race (or related activity) you’d like included on our non-series calendar, please send me the info. Most of our weekly updates in season (email, website, and FB) include shout-outs to other races people should consider if they’re not doing one of the series races – free advertising! … we wish you all a safe, peaceful, and healthy holiday season. With luck and cooperation from Mother Nature we’ll see you on the trails in January 2019!